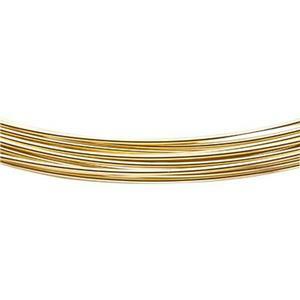 Bulk round jewelry making wire for wirework, wire wrapping and fabricating. Precious metal wires are sold by length, pennyweight or troy ounce. Base metal wires are sold in small volumes by the troy ounce or by the pound for larger volume purchasers. Most bulk wire is packaged in coils. Exceptions are noted in the product details. Shop our line of jewelry tools to complete your collection. Buying wire can be overwhelming. Read our how-to article below for important tips. What Wire Gauge & Hardness Do You Need?